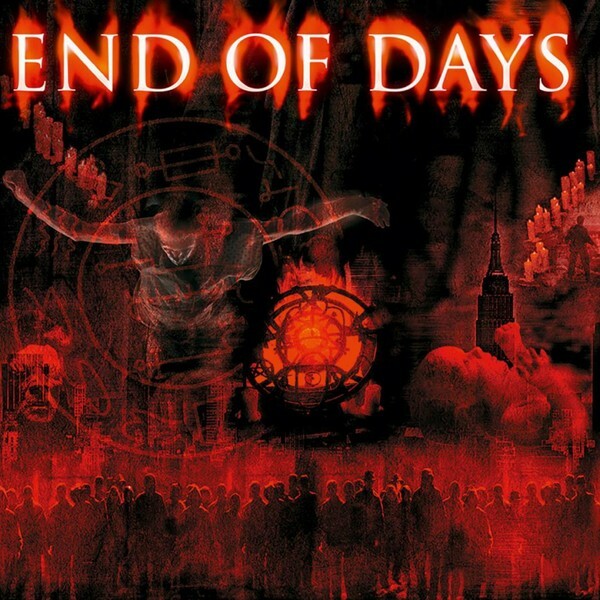 Music On Vinyl presents End of Days. End of Days is a 1999 American fantasy action horror thriller film directed by Peter Hyams and starring Arnold Schwarzenegger. The film's soundtrack is a collection of tracks by alternative metal and industrial rock bands. It's loaded with music by Korn, Eminem, The Prodigy and Guns N' Roses. End of Days is a 1999 American fantasy action horror thriller film directed by Peter Hyams and starring Arnold Schwarzenegger. The film's soundtrack is a collection of tracks by alternative metal and industrial rock bands. It's loaded with music by Korn, Eminem, The Prodigy and Guns N' Roses. The 12 track 2LP covering different eras and take you back to the music from Sonic Youth and Creed. The big comeback with the new line-up of Guns N' Roses contributed 'Oh My God.' Guitars and distorted vocals are all part of the typical Guns N' Roses sound.